The greatest problem to be overcome at Moy Castle was the ingress of water. The west coast of Scotland has huge amounts of rainfall, often over 80 inches in a year, and across the centuries the fabric of the castle had been undermined by the constant action of rain on all four elevations. 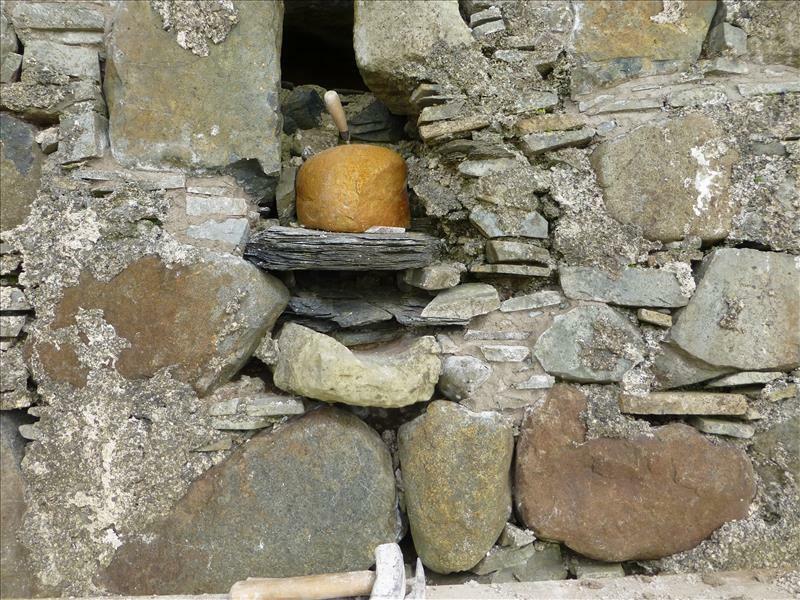 In many areas the lime mortar had been washed out leaving large holes, which had allowed the water to get in to all parts of the building. Of course, the fact that the roof was missing was also an important factor. Although Historic Scotland would not permit the building of a completely new roof (due to lack of knowledge of how the roof might have looked and, also, the cost), it was imperative that we now did everything we could to keep the water out. When the castle was built, drains were incorporated into the elevations and these threw the rainwater away from the walls. They were made of stone and slate and had deteriorated to the extent that they no longer functioned at all. 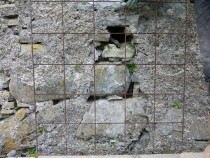 If any water went out of the old drain, it simply streamed down the wall taking mortar with it and eroding the stone work. We knew that we needed to ‘throw’ the water as far from the masonry as possible so the new drains are made of lead and extend well out from the walls. 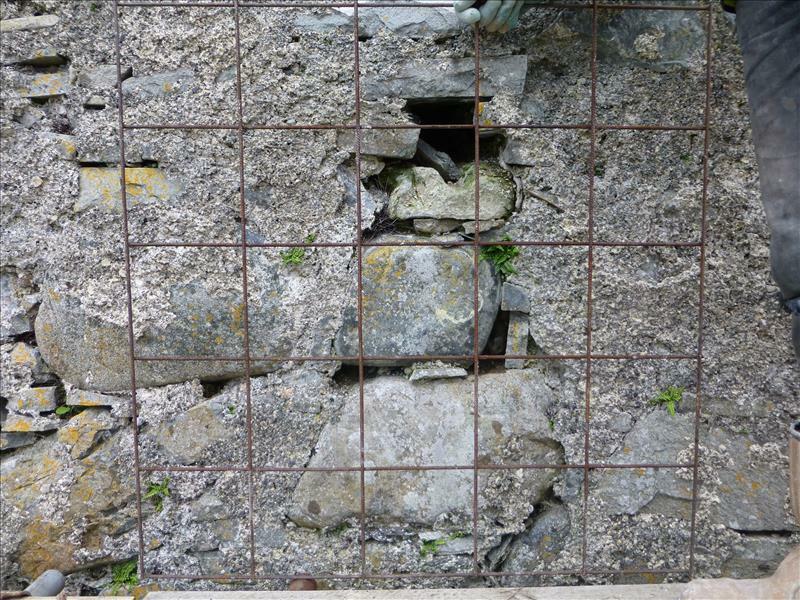 This work was all part of the future-proofing of the castle. 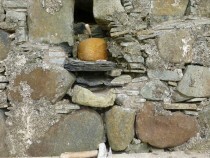 The curved stone drain can be seen on top of the larger stone.